Our amazing high quality distressed leather guitar straps feature reinforced double stitching backed with cream leather. Try out our beautiful, handcrafted distressed leather strap for your guitar. 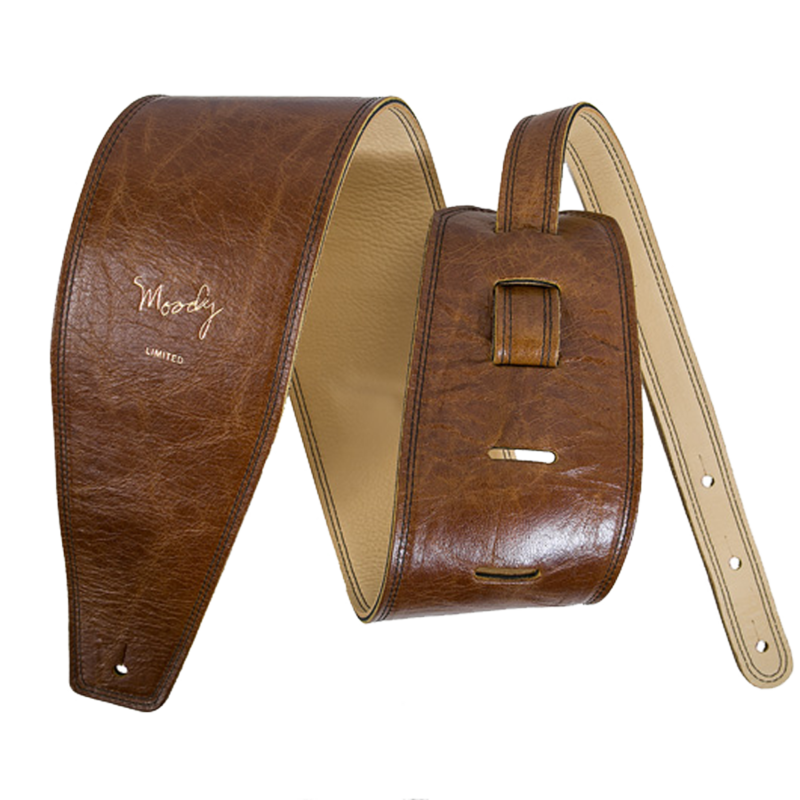 Made from high quality imported leather, our stunning 4-inch brown leather guitar strap features reinforced double stitching, giving it that unique look that our customers have come to love. At 4 inches, our popular guitar strap sits snuggly on your shoulders, making it a good choice for those who are looking for both comfort and beauty. Once more, all of our leather straps are made in the USA!